Today is the perfect time to Join the Sisterhood! 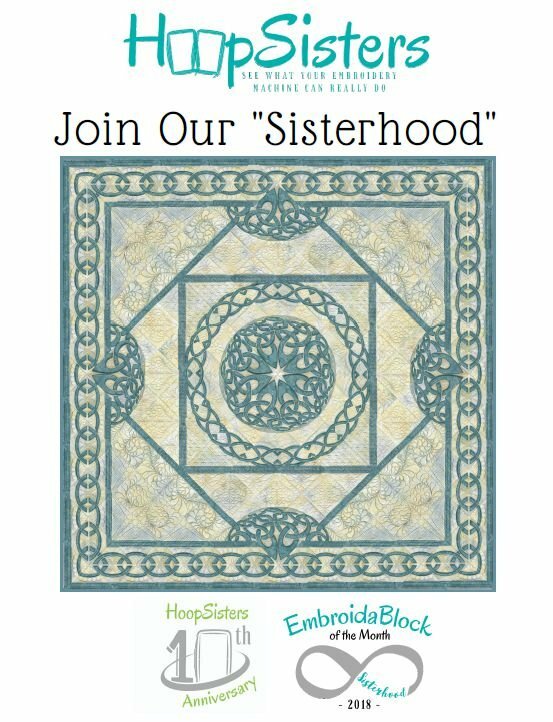 Join the Sisterhood - Hoop Sisters 10th Anniversary in-the-hoop quilt. Quilt can be made using a hoop as small as 5 inches. This is where you pay the registration fee of $225. Do not sign up for class sessions here. There is an option to pay monthly with an automatic $37.50 charge to your credit card. To use the option, please visit Denton Sewing Center.